Until Wed. night, Rowbury was hoping for WR in mile at Millrose. Will she break Mary Slaney's AR? Was Chris Barnicle high during trials... He says "No Comment"
How Many of You are Now Going to Try Tinman's Training Plans of Critical Velocity? Friday’s Press Event: RRW Collegians Dominique Scott and Erin Teschuk Both are Pumped To Be Running NYRR Millrose Games Mile Scott has been focused on this race all winter as she doesn’t have NCAA indoor eligibility. Teschuk just got into the field last weekend after a scratch. *LRC Pre-Race Chats With Mile Racers: Garrett Heath, Robby Andrews, Cory Leslie, Katie Mackey, Dominique Scott, Treniere Moser, Leah O’Connor, Alexa Efraimson, and Erin Teschuk. LRC NYRR Millrose Games Preview: Willis-Centro Rematch, Rowbury & Huddle Dream Of American Records, King Ches Against The Big Boys In The 3k And Can Drew Hunter Break The HS Record (Again)? 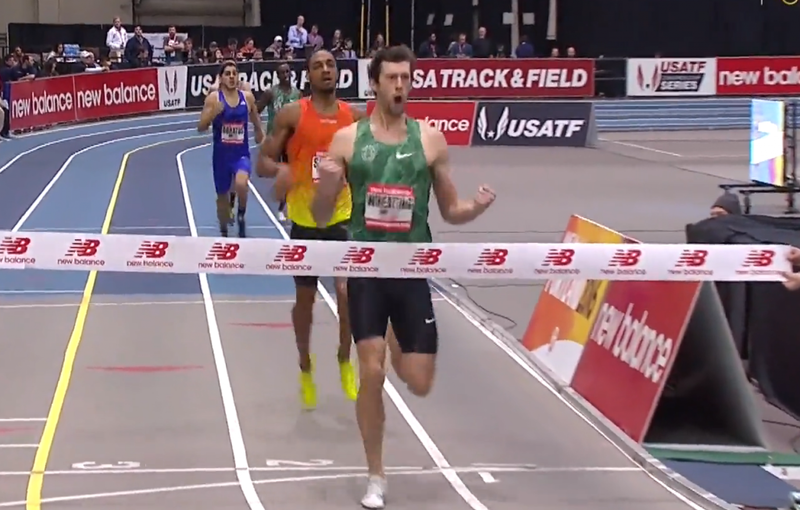 Millrose is the jewel of the US indoor season for a reason. Thursday’s Press Event: LRC Good News: Nick Willis Thinks Most Elite Runners Are Above Board; Bad News: He Thinks A High Percentage Of The Top Performers Are Dirty The veteran Willis had some VERY interesting things to say about doping today. *MB: Nick Willis had some fascinating things to say about doping today. Plenty of good and bad news! LRC Shannon Rowbury’s American Record Attempt Is Definitely On, Molly Huddle’s Might Be On – News And Notes From Thursday’s Millrose Press Conference We share the wisdom we learned from Shannon Rowbury, Molly Huddle, Allyson Felix, Natasha Hastings, Brianne Eaton, Ashton Eaton and Andre De Grasse, who will be making his pro debut for Puma. Edward Cheserek Excited To Compete Against The Pros In The Millrose 3,000 His former teammate Eric Jenkins will also be in the field. Maybe this will provide fans some closure on this hotly debated race. 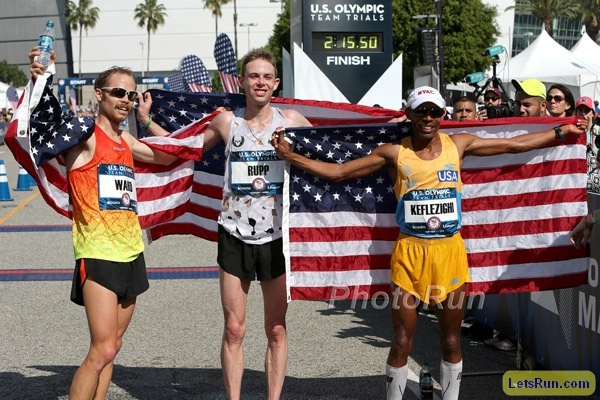 Brett Larner Takes An “Honest Look” At American Marathoning History And Asks If We’ve Reached A Turning Point The women are better than ever and the men have potential thanks to Galen Rupp, but have some work to do. 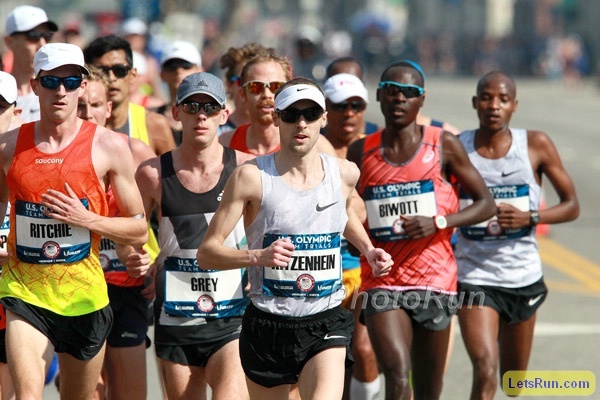 Peter Abraham: 10 Ways To Improve The Olympic Marathon Trials He starts off by talking about the sponsorship battle between Sketchers (who sponsors the LA Marathon) and Nike (who sponsors USATF). 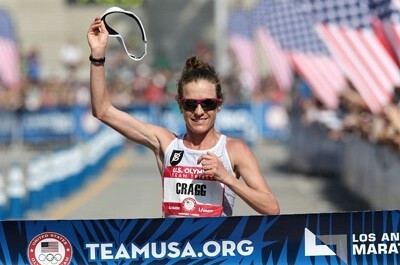 How Did Californians Do At The Olympic Trials? After Meb, Shadrack Biwott was 7th on the men’s side. For the women, she might live in Michigan now, but Desi Linden is a California native. Rome 2024 Bid Will Use Colosseum And Circus Maximus Beach volleyball at the Circus Maximus and the marathon finishing under the Arch of Constantine near the Colosseum are proposed ideas. A Look At Some Details From The LA 2024 Olympic Bid Plans Reportedly, 97% of venues already exist. Interesting Read: Portland Tribune: “Introducing The Best Track In The World” Apparently Nike and the city of Portland are considering buying the track even though it was promised to the University of Iowa for $2.6 million. Jenn Suhr Is Reconsidering Doing US And World Indoors As She Wants Another Chance At 5.07m She had previously said she wouldn’t do them because they were too close together and her husband/coach bashed the US qualification system. 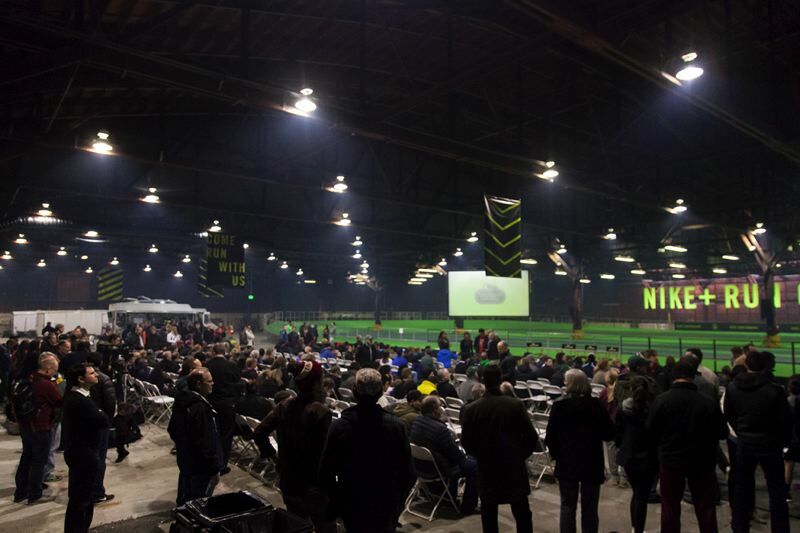 TrackTown Adds Four Prep Events To World Indoor Program Includes the 60m, PV and a 4 x 400 relay. 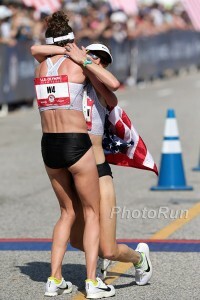 Good Read: Shalane Flanagan Q&A On Dehydration, Delirium, And Drama At The Olympic Trials Flanagan goes step-by-step through the race from reacting to Kellyn Taylor‘s move to teamwork with Amy Cragg and getting so dehydrated she needed an IV afterwards. Meet The Last Place Finishers At The Olympic Marathon Trials: 149th Place Joanna Zeiger (3:23) And 105th Place Chris Barnicle (3:45) Zeiger is a 45-year-old who promised herself she’d finish after DNFing in 2012. Barnicle is a once 62-min. 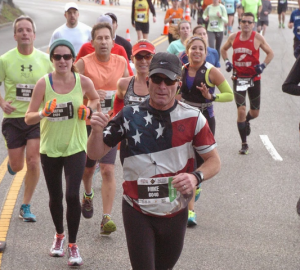 half runner who now works as a distributor for medical marijuana dispensaries. Luke Puskedra Talks About Being 4th; Says He’ll Try To Make Rio In the 10,000 If he doesn’t make the 10,000 team (and Galen Rupp sticks with the 10K/marathon double) then Puskedra will focus on Chicago again. Papa Diack Will Be Questioned By Senegal Investigators A warrant for his arrest has been issue by Interpol, but Senegal has refused to extradite him. Russia Orders Athletes To Sign Anti-Doping Pledge To Compete At Russian Indoor Champs How many athletes will cross their fingers or roll their eyes while signing? 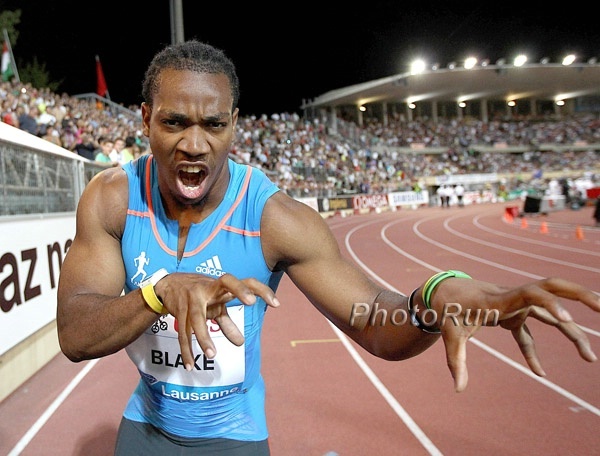 LRC Yohan Blake Opens His Season With A 48.14-Second 400 In Jamaica (video included) Blake was the last finisher in the race won by Javon Francis in 46.21. Wejo Is Proud: Weldon Kirui Loses Luggage, Gets New Pair Of Skechers From Race Organizers And Wins LA Marathon In 2:13 Ukraine’s Nataliya Lehonkova won the women’s race in 2:30. 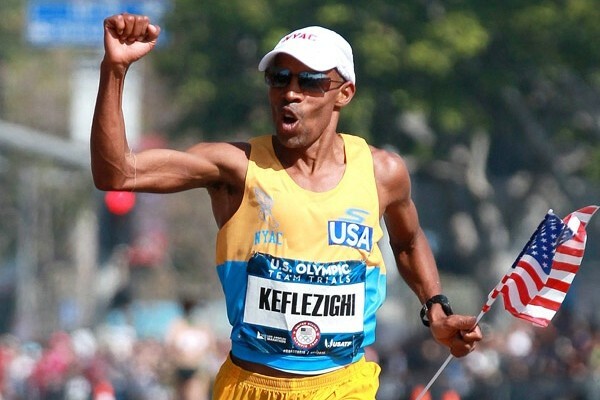 LRC Full Recap America’s Next Great Marathoner Arrives As Galen Rupp Dominates Olympic Trials In Debut; Meb Keflezighi, Jared Ward Grab Final Two Spots On Team USA (updated) Rupp (2:11:12), Keflezighi (2:12:20) and Ward (2:13:00) is your team to Rio as Luke Puskedra (2:14:12) and Tyler Pennel (2:14:57) just miss out. MiLive.com: Dathan Ritzenhein “Just In Shock” After Dropping Out Of Olympic Marathon Trials He said the cramping began about the nine-mile mark in his left calf, moved to his right and then his hamstrings. 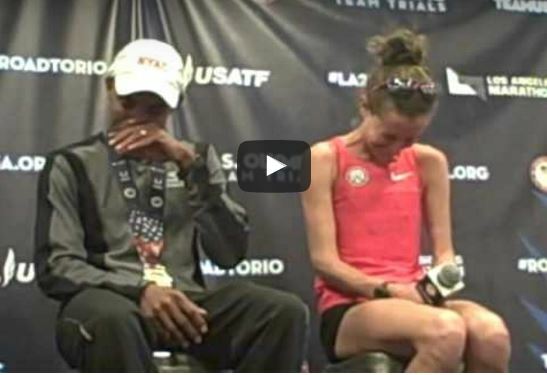 LRC Meb Explains His Unfriendly Words And Gesture With Galen Rupp During The Marathon Trials – “It’s not a track, the road is open.” A little love was lost between Meb and Galen during the race. Meb tried to explain what happened. Fastrack National Invite Results: Villanova’s Patrick Tiernan Runs An NCAA-Leading 7:48.55 Robby Andrews won the 800 in 1:47.50. Husky Classic: MB: Grant Fisher Runs 7:50.06 To Win Husky Classic 3K In A Close Finish He beat out Washington’s Izaic Yorks by .14 seconds. Allie Ostrander ran 8:54 to win the women’s race. Boise State’s David Elliott took the mile in 3:57.38 as the top 7 went sub-4 and Natalia Piliusina won the women’s (4:35.31). *Results Chelsea Blaase took the women’s 5K in 15:43. ISU Classic: Elise Cranny Gets 4:38 Mile Win In Her Return To Racing Was her first race since outdoors last year. Also on Saturday, Akron’s Worlds qualifier Clayton Murphy ran 1:46.13 to beat NCAA champ Edward Kemboi. BU Valentine: Results Friday winners included GB’s Lynsey Sharp (800 – 2:00.30), Amanda Eccleson (mile – 4:26.88) as the top 4 broke 4:30, Christina Melian (5,000 – 15:48) and Jessica O’Connell running 8:56 to beat Ashley Higginson and Emma Bates. 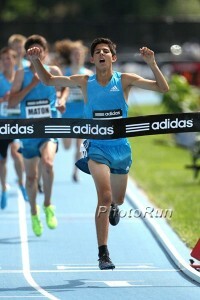 Saturay: Amed Bile (7:51), Joel Hubbard (3:58) and Drew Piazza (2:21.97 – 1,000). We take a brief look back to the Trials and a bigger look back to Regina Jacobs and Suzy Favor Hamilton. LRC Hamza Driouch Retracts Claim That Coach Jama Aden (Whose Athletes Broke 3 World Records Yesterday) Doped Him The IAAF needs to figure out who was doping the 17-year-old Driouch when he tested positive. Updated: Odile Baudrier of SPE15.fr has sent us English translations of his original article and the email he received from Driouch, which was in English. Mike Rossi’s Of The World Beware: Hey Race Cheaters, Race Directors Are On To You – You’ve Been Warned RDs are finally catching up to what LRCers have been proficient at for years – catching cheaters. An indepth look at the methods RDs are using to catch course cutters. Are Racers Responsible for Knowing the Course? RW Talks To Two RDs After The Top 10 Are Sent The Wrong Way And DQd At Daytona Beach 5K Thankfully both RDs agreed that if a course marshall sends runners the wrong way, then the organizers are to blame. Not like this half marathon last year that had a lead car take 3 pros the wrong way and then blamed the runners. *MB Archives: 3 guys go wrong way. 4th guy wins $1500 dollars. Police Preparing “Pursue Criminal Charges” Against Owner Of Dog That Tripped Runner At New Year Ekiden (includes video) We hope the police aren’t serious. The dog was very small & leashed, but apparently the 69-year-old owner accidentally dropped it. The runner looked fine and didn’t press charges. Move along. Coming This April: Armory Announces The NYC Indoor Marathon The release says it is a “new twist” on the indoor marathon from 1906 in Madison Square Garden. 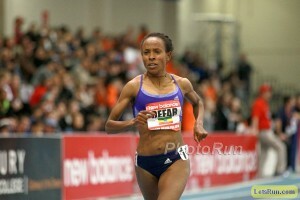 *MB Archives: Has a lapped runner ever come back to win a race? We made a mistake in our article on Schwartz and fortunately for all of us that caused Schwartz to share more info on Critical Velocity pace. 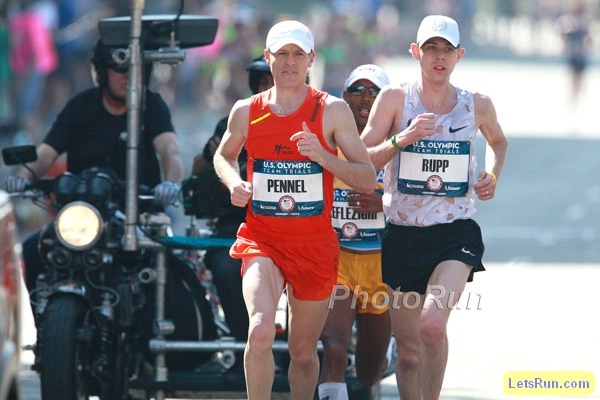 Desi Linden said it best, "Meb's the epitome of a hero"
LRCTyler Pennel: LRC Underdog Of The Week - "Screw them. We're going to go out there and show them what's up." Tyler Pennel gives some inspiration for underdogs everywhere, revealing he wanted to win the Trials. Doping Updates: Kenya Going The Way Of Russia? Papa Massata Diack Interrogated By Senegal Police For 7 Hours Diack arrived for questioning just after 4 p.m and left at midnight. Did You Know? 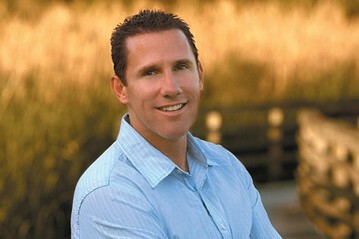 Famous Author Nicholas Sparks Was A Former HS Track Star Sparks, the author of The Notebook and Message in a Bottle, ran 1:52 in high school and split 1:50 in college before an Achilles injury forced him to quit. Mo Farah Confirms He’ll Compete At Birmingham DL Meet Ahead Of Rio Games His next race is this weekend’s Glasgow Indoor GP 3,000. BBC Video On Germany’s “Blade Jumper,” Who Is Trying To Get The IAAF To Allow Him To Compete In The Rio Olympics Markus Rehm has an 8.40m PR, which would have won the London Games. He is not allowed to compete against able-bodied athletes as the IAAF says his carbon fiber prosthetic gives him an advantage. IAAF First Impressions Q&A With PV World Champion Shawn Barber Some random questions like his first toy, first downloaded app and first thing he learned to cook – Ramen noodles. Arkansas Men Move From 8th To First To Take Over Updated DI Rankings Tennessee moved from 7th to 2nd and #1 Florida to 10th. This is the first week where 2015 marks don’t count. Florida Women Move From 4th To The New #1-Ranked NCAA Team Oregon moved from 3rd to 2nd and formerly top-ranked Arkansas is now 4th. The Guardian’s Sean Ingle: “Isn’t It Time For An Independent Commission Into Kenyan Athletics’ Drug Problem?” The time was probably quite a while ago. Mets Pitcher Jenrry Mejia Gets Lifetime Ban For Testing Positive For The 3rd Time In 2 Years (He Wasn’t Even Done With His Previous Ban Yet) He is the first player in MLB history to get a lifetime ban for steroid use. Nothing Like Investigating Yourself: Russian Report Finds “Not A Single Piece Of Evidence” Government Was Involved In State-Supported Doping Well then by all means un-ban them immediately! Issue a full apology. This has all been a terrible mistake! Geoffrey Kamworor Wins In Battle With Bedan Karoki At Kenyan XC Championships Alice Aprot (sister of 2010 World XC champ Joseph Ebuya) won the women’s race as favorite Faith Kipyegon finished way back, running through illness. IAAF Indoor Weekend Round-Up: Poland’s Adam Kszczot Wins 800 In 1:46.18 Over Timothy Kitum (1:46.72) And Mohammed Aman (1:47.24) Women’s 1,500 and 800 world leads went to Renata Plis (4:07.38) and Joanna Jozwik (2:00.12). Elsewhere, Asafa Powell set a 60m PR and world lead with 6.49 in Houston. Florence Kiplagat Gets Third Consecutive Barcelona Half Marathon Win Her time of 69:19 was well off the 65:09 WR she set here last year. 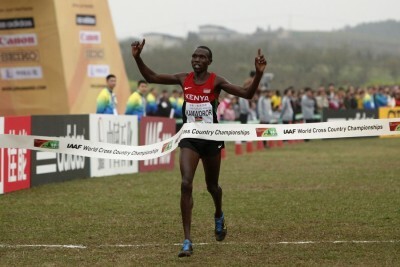 Vincent Kipruto won the men’s race in 62:54. Alberto Salazar confirms that Galen Rupp did the most amazing workout ever – 20 miles at 4:52 pace, HR at 149-50!! 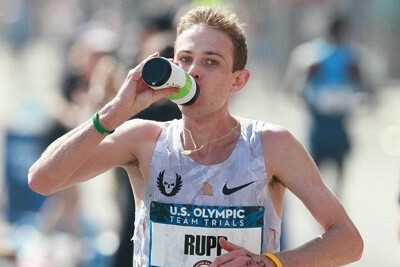 Is Rupp’s performance the greatest ever by an American? Never run a marathon before– why would you drop out? 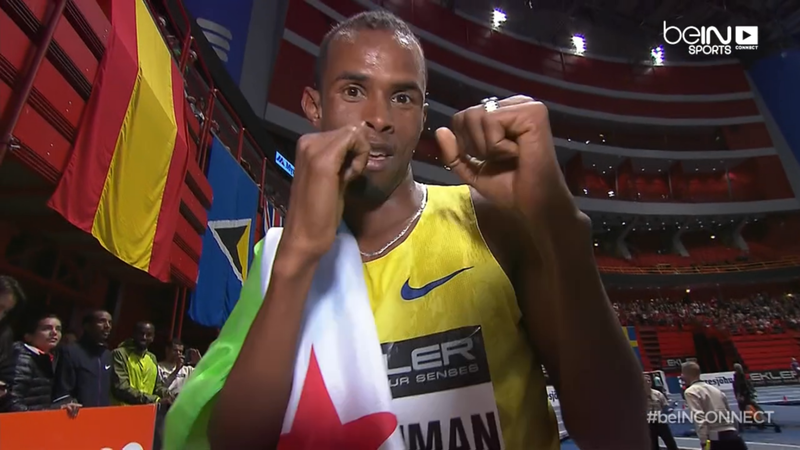 Tomorrow: Mo Farah Vs. Caleb Ndiku And Augustine Choge In Glasgow 3K Other top matchups include Adam Kszczot vs. Mohammed Aman over 800 and Sifan Hassan vs. Dawit Seyaum over 1,500. Ayanleh Souleiman and Melisssa Bishop lead the men’s 1,500 and women’s 800. March 5th: David Rudisha Will Open His Season In Melbourne He will face Australia’s national champ Jeff Riseley and NR holder Alex Rowe. March 6: 2:04 Man And World Bronze Medalist Munyo Solomon Mutai Lead Field For Lake Biwa Marathon Lake Biwa is also the final qualifying race for the Japanese Olympic team, with Kazuhiro Maeda (2:08:00) and Yuki Kawauchi leading the domestic field. All three have the same coach, Jama Aden. In other action, Adam Kszczot kept winning in the 800. *Non-Distance Recap: After Stumble, Kim Collins Wins 60m Over Mike Rodgers; Nikoleta Kyriakopoulou Sets Greek PV Record (4.81m) US’s Jeneba Tarmoh won the 200 in 23.38 over Trinidad and Tobago’s Michelle-Lee Ahye. Ireland AIT Results: Mary Cain 4:13 for 6th in 1,500. 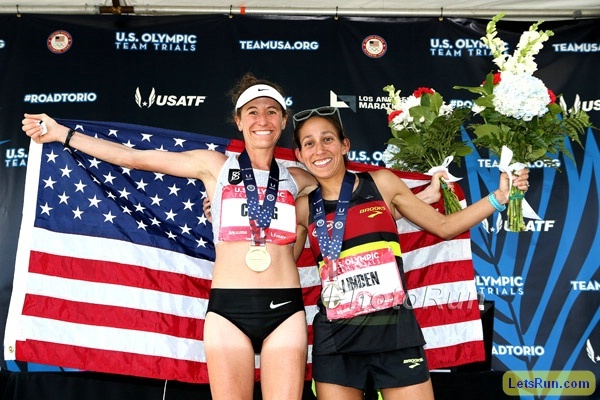 Interesting Analysis: How Did The Half Marathon Qualifiers Do At The Olympic Trials? Overall not too well, although Galen Rupp and 5th place Janet Cherobon-Bawcom were notable exceptions. *MB: Who was the top finisher that qualified with a half? Brooks And Nike Lead US Olympic Marathon Trials Shoe Count Looking at the top 75 men and 75 women, 27 wore Brooks and 26 wore Nike. Adidas was 3rd most prominent with 23. Emily Infeld Is In Good Shape, Hoping For Big PR And 1st Sub-15:00 Clocking At Millrose On Saturday Her PR is 15:07. LA 2024 Logo Unveiled – “Follow The Sun” If they actually get the Games, they will apparently make a 2nd logo. March’s Lake Biwa Mainichi Marathon – Japan’s Final Selection Race – Will Be Fantastic Yuki Kawauchi has turned down a lucrative offer to run London and has entered the race on his own, hoping to be the top Japanese selection and dare the Japanese selectors not to take him as they’ve said he won’t go unless he breaks 2:06:30. Spikes Looks At Great Track And Field Athletes Over The Age Of 40 Not Named Meb Constantina Dita, Merlene Ottey, Kim Collins and Bernard Lagat are half of the 8. 2004 Olympic Heptathlon Bronze Medalist Kelly Sotherton, Now 39, Talks About Her Life As Sports Administrator She hopes to be a female Seb Coe. IAAF Non-Distance Recap: Kurt Roberts Throws World-Leading 21.57m In NBIGP Shot Put Jenn Suhr won the PV in 4.82m after failing in an attempt at breaking her own WR. Italy’s Half-Bearded High Jumper Gianmarco Tamberi Sets New National Record With 2.38m Elsewhere, Qatar’s Mutaz Essa Barshim won a low-key HJ in 2.36m. Dafne Schippers Runs The Fastest 60m Time In The World For Three Years With 7.00 She also tied the Dutch record of Nelli Cooman set 30 years ago in 1986 and moved up to 9th on the all-time lists. Poland’s Ewa Swoboda Sets World Junior 60m Record With 7.07 The previous mark was 16 years old. Belgium’s Pieter-Jan Hannes Sets 2,000m WL, But Misses NR With 5:04.33 The NR is 5:00.0 by Emiel Puttemans from 1973. IAAF Indoor Weekend Round-Up Germany’s Kai Kazmirek Sets World-Leading Heptathlon Mark (6,111 Points) In distance action, Morocco’s 19-year-old Mostafa Smaili and Iceland’s Anita Hinriksdottir got 800m wins in 1:46.50 and 2:01.59. 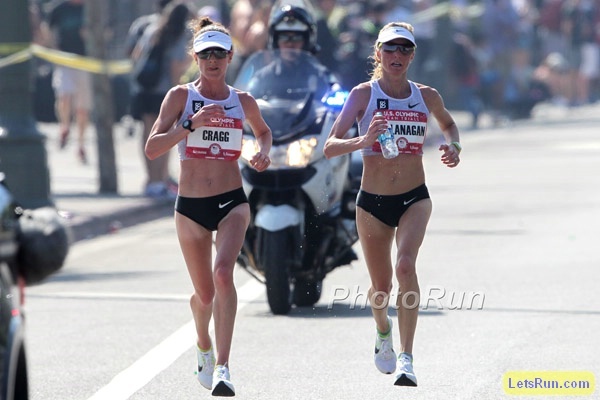 LRC Amy Cragg Gets Vengeance From 4th Place Finish 4 Years Ago, Desi Linden Runs Smart For 2nd And Shalane Flanagan Hangs On – Full Recap and Analysis link fixed Flanagan and Cragg pulled away early, but it took a toll on Flanagan, who barely kept it together and collapsed at the finish. 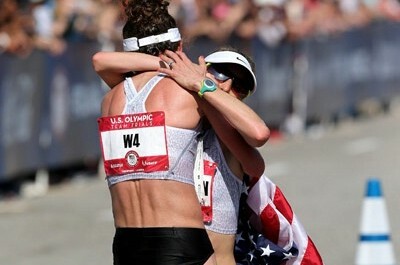 Kara Goucher was a close 4th in 2:30:24 and Janet Bawcom 5th. Videos and more.